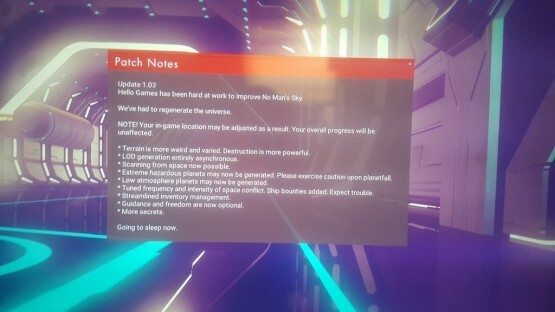 Detailed yesterday by Hello Games, No Man’s Sky update 1.03 is now available to download on PlayStation 4, weighing in at 824MB. If you’re getting a digital copy of No Man’s Sky through the PlayStation Store, the pre-load is also live. According to reports, it’s a 4.22GB download for the entire file, with 3.68GB downloading initially. Adding in the update, you’re looking at roughly a 5GB download. Today’s update “is the first of many,” and will require early players to delete their save game files to use it. Additionally, the servers were wiped yesterday, and will be wiped again today ahead of launch on August 9 in North America and August 10 in Europe. 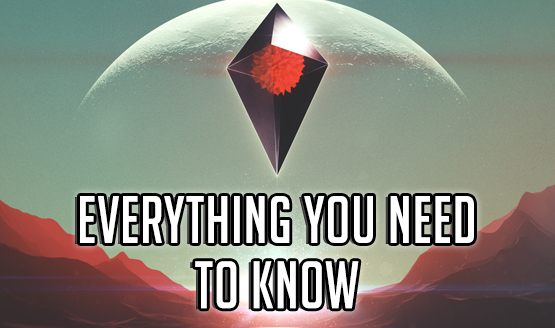 In the next update, Hello Games will add the ability to build bases and own giant space freighters. Visual enhancements should also arrive in the future.